Once upon a time, people played games on their computers. Then we got smart phones, and mobile gaming was born! Now the question has become how to get your favorite mobile games to play on your PC computer. Let’s be honest. You can get a much more engaging experience when you play on a desktop computer. The screen size alone makes it worthwhile. Plus, you can also think of adding the graphic detail and surround sound with a computer’s graphics card and stereo set-up. With all the advantages of PC play, we’ve come full cycle, back to computer play, and fortunately there are ways to get your favorites lined up to play mobile games on PC. Game developers in the recent years have focused their resources on the creation and enhancement of mobile games, which means you have a great selection on your phone… But many of these games don’t have desktop counterparts. If you’d love to know how to play mobile games on PC free, keep reading. The work-around that allows you to play mobile games on PC is called an emulator, and there are quite a few of them available. To “emulate” something is to copy its actions, and in this case you’re getting your computer to copy the actions of a mobile device. You’re getting it to act like an Android device that is capable of playing those games you love. With a good emulator, all you need to do is download the program of your choice. Your PC will present you with a simulated Android environment that you navigate in exactly the same way you would do on your phone. The only difference is that you’re using mouse-clicks instead of finger taps. There are several emulators that are designed to run your Android games on your PC. This emulator simulates Android on your desktop that runs Windows, and is a popular choice among people who play Pokemon Go in a PC environment. Nox is simple to download and execute (simply select “run” on the EXE file), and operates with an environment that will look completely familiar to you because it’s exactly like the mobile version you see on your phone. You can either use the button collection to navigate onscreen, or map your keyboard to perform functions that would be accomplished by touch-screen on your phone. Some players find that a mapped keyboard improves their game performance. Particularly for graphic-intensive games, the bigger screen of a PC can enhance the gaming experience, and now users have the choice between that large screen or the mobility of a handheld device. This emulator is programmed to run apps as well as games in several variations of windows. How to play Android games on PC Windows 7? This emulator offers a great solution and is available with a free trial. If you like how it runs, the price is about fourteen dollars to play all your games. This emulator requires you to sign up, but the sign-up itself is free. You can choose between two downloads, one intended for PC users who have already installed Oracle VirtualBox on their computers and the other with bundled VirtualBox if you don’t already have it. Probably the best known of the Android emulators, Bluestacks is widely used for chat as well as gaming. Bluestacks also runs a blog featuring topics of interest to its users. With over a hundred and forty million users, Bluestacks for Windows 10 is an unquestionable favorite. It’s the largest platform for mobile gaming for PC as well as for Mac, giving gamers the tools needed to get competitive. BlueStacks offers an environment that is fully customizable, can be supported by a variety of OS systems, and features Google Play integration for downloading games from the Google Play store. The app player itself can interface with any of your favorite social media platforms, like Twitter and FaceBook, in addition to games. On the other side, it also integrates with custom software programs on the PC itself. 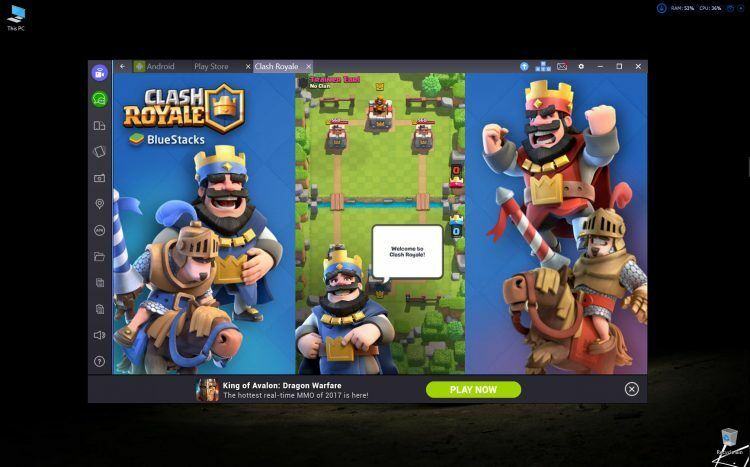 The BlueStacks editor’s blog features community-building game guides, tips for using mobile apps on the PC, and other articles of interest to gamers. This emulator lets you use your phone as if it were a joystick, enabling you to maintain the multi-touch aspect of gaming while playing on your computer. The mobile OS can run on any Windows PC or Mac, as well as in the cloud, and is touted as breaking barriers between mobile and desktop computing. Unlike some emulators, this one keeps getting updated to interact with the most updated Android features and upgrades. The user’s account with Google Play gets synced through the cloud, so there’s no loss of app history between the app on a personal computer and the same app on your phone. All devices remain synced. With its free download, this is a great way to play mobile games free on PC. This emulator was actually released by Android as a solution for how to play mobile games on PC free. This option is particularly suited for running Android’s high-end games on your big screen. When Android realized that there was a barrier between their apps and their desktop environment, they set out to eliminate the barrier and provide their dedicated users with a seamless experience. They realized people were frustrated by not being able to enjoy their favorite mobile games on their larger screens. People were even more frustrated by having to pay separately for mobile and PC versions of the same game or app, and more frustrated still when there was no PC version of a mobile favorite. 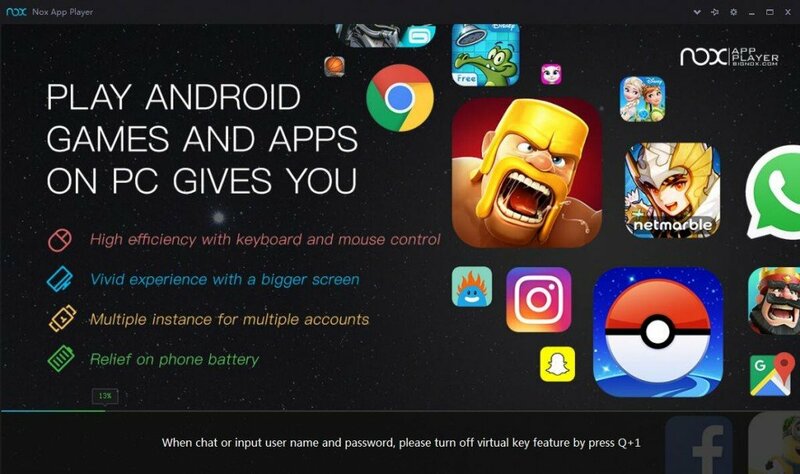 All of that is addressed by ReMix OS, which allows users to download free Android games for free and use them in either environment. There was a gap in gaming for a while, when mobile app developers started creating games that could be played on phones and mobile devices, but desktop computers could not use the mobile apps. Now there’s a fluid experience for users to enjoy favorite games and apps across the board, shifting seamlessly from mobile to PC and back again. With so many ways to play mobile games on PC, the only question is which emulator you’ll want to use! And once you’re an expert on emulator use, you’re primed for the next generation of gaming. Even manufacturers like PlayStation are getting onboard with new emulators and cloud syncing to enable you to play games on your desktop computer. You already have favorite games on your mobile device, but when you expand to PC play the possibilities are endless. Here are some games that translate great to desktop computer, where you can enjoy the full range of graphics and sound on a full-sized screen. The beauty of Android emulators is the fact that you can play whatever game appeals to you, with the improved experience of a big screen, graphics and sound. Some of the jargon associated with emulators may make them sound daunting or complicated, but the truth is that you don’t need to understand how these things work in order to make use of them. Setting up an emulator to play free mobile games on PC is simpler than you realize. Once you’ve picked an Emulator to use, click on the provider’s website option to download. Depending on your connection speed, it might take a little time to download, but you’ve just done the most difficult part of installing an emulator—and it wasn’t that difficult at all. If your download is an .exe file, you will be asked to install the file, which you can do with just one more mouse-click. Now click to open the program you’ve just installed. When the new window opens, you’ll see a familiar site that looks precisely like the screen of your phone or mobile device. Now you’ll want to log in with your Google account to take advantage of cloud syncing of your data, apps, and games. Signing in will give you access to your Play Store, and you can download all the same free games you enjoy on your phone. If you want to play paid games, the purchasing process is exactly the same as it would be on your phone. Or try the free version first to make sure it runs well in your emulator. To play a game you already use on your phone or tablet, look for an “All Apps” button to see the games you’ve already purchased or downloaded on your mobile device. Click on any of the games to install them on your PC. You can mouse-click where you would tap the screen on your phone, and click-and-drag where you would touch-and-drag on the mobile device. Or you can select the option to map your keyboard or controller to the game. With keyboard mapping you can select keys that will fulfill different functions and movements. Many gamers find their game playing improved by being able to use quick keys rather than movements of the mouse. The emulator options will walk you through keyboard mapping. In Bluestacks, for example, you select the button for controller or keyboard, which appears in the window’s upper left corner, and looks like your keyboard’s arrow keys. Then select the “tap” option, click on any part of the screen that you want to add a tap shortcut, and pick a key to assign to that shortcut. Pressing that key will be the same as clicking that spot on the screen. You can add as many tap shortcuts as you like, and you can create a directional pad with the “D-pad” button, in much the same way. You can also create shortcuts in the same way that will swipe, tilt, shake, or perform other actions, which are essential for your game. With your emulator installed, your games downloaded, and your keyboard mapped, you are ready to play. Enjoy all your favorite games with seamless transition between your PC screen and your handheld mobile devices.